Delta State Governor, Senator Ifeanyi Okowa, has congratulated, Mr. Amaju Pinnick on his re-election on Thursday, as President of the Nigeria Football Federation (NFF). Governor Okowa said he wasn’t surprised over the overwhelming victory of Amaju Pinnick in the election given his dedication and contribution to the round leather game in Nigeria, Africa and the world. Okowa noted that Pinnick’s firm belief in revolutionising football administration in Nigeria has paid off in his achievements since he was first elected as NFF President in 2014. “On behalf of the government and people of Delta State, I congratulate you, Mr Amaju Pinnick, an illustrious son of Delta State, on your re-election as NFF President”. 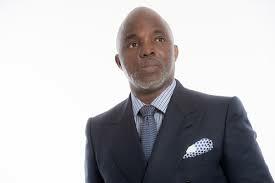 “Your re-election no doubt is a confirmation of the giant strides and contributions you have made in revolutionising football administration globally, adding, “As a sport–passionate nation, Nigerians are proud of the rich assemblage of visionary and dedicated football administrators in the NFF Executive Committee led by Mr Amaju Pinnick”. “As a state, we are committed to the improvement of schools sports with special focus on football, hence we have reactivated our Headmasters’ and Principals’ cup competitions with the aim of discovering young talents in football and bearing in mind that Delta State is known for its sporting prowess and achievements”. “With the completion of the Stephen Keshi Stadium Asaba, we are open to partnerships with the NFF and other sport loving organisations to provide a platform which will give further vent to Nigerian football and empower the youths to great career heights. “It is our prayer that your re-election will further lead to the growth of football in Nigeria, Africa and beyond,” the governor stated.